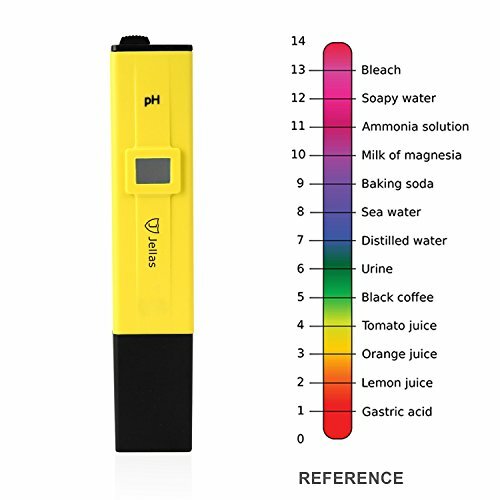 This pH meter is affordable and useful for those who need a pH tester for home and laboratory uses; water, swimming pools, aquariums, spas, hydroponics, food, wine and beer making and more. 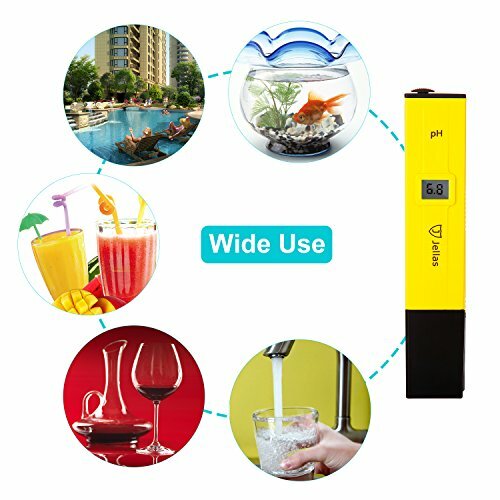 ?High quality and durable, it's highly accurate for measuring range of 0-14 PH, 0.1 PH resolution, measure & display pH result simultaneously with LCD diplay, reliable and quick reading. 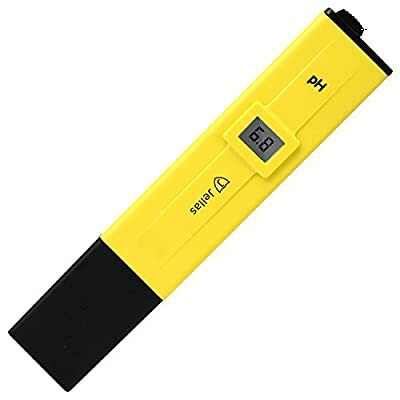 ?Easy to use, you just remove the protective cap and immerse the PH meter electrode in the solution and turn on the PH by "ON / OFF" switch to be measured. Beats the heck out of trying to see the colors of a litmus strip. ?Easy to calibrate, simply follow the instructions on the provided packet of solution ~4 or ~7, drop in the meter and adjust with the provided screwdriver to dial it in. 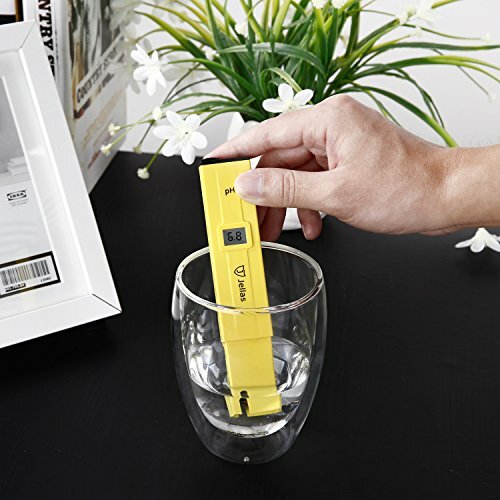 ?Pockect size, comes with a handy storage case and dedicated screwdriver for calibrating. ?Remember to gently wipe it with a clean, soft cloth when you're done before capping it again. Easy-to-reach great customer service available with 7*24 hours. 30 days money back guarrantee and 12 months worry free warranty. WIDE USE, it's great for home and laboratory uses; water, pools, aquariums, spas, hydroponics, food, wine and beer making and more. FAST AND RELIABLE READING, Highly accurate for measuring range of 0-14 PH, 0.1 PH resolution, measure & display pH result simultaneously with LCD display, reliable and quick reading. 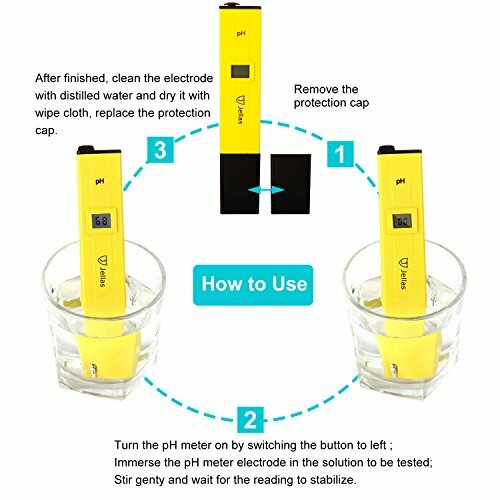 EASE OF USE, you just remove the protective cap and immerse the PH meter electrode in the solution and turn on the PH by "ON / OFF" switch to be measured. Beats the heck out of trying to see the colors of a litmus strip. POCKET SIZE: it's only 1.76 oz with size of 5.94*1.22*0.79 inches, it also comes with a carry case for you easily to carry or store. 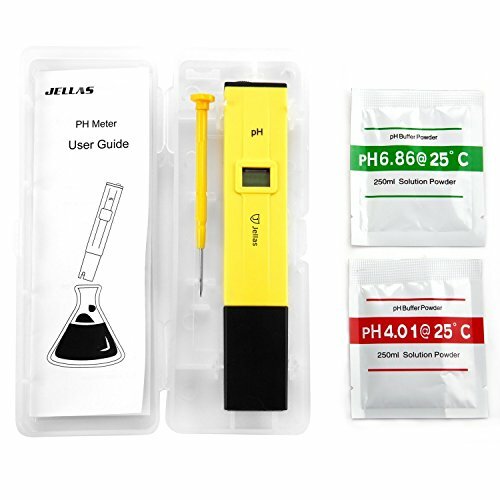 PACKAGE CONTENTS: 1 × pH Meter , 1 × Carrying case, 1 × Calibration screwdriver, 2 × pH buffer powder (for calibration) ,1 × User manual.